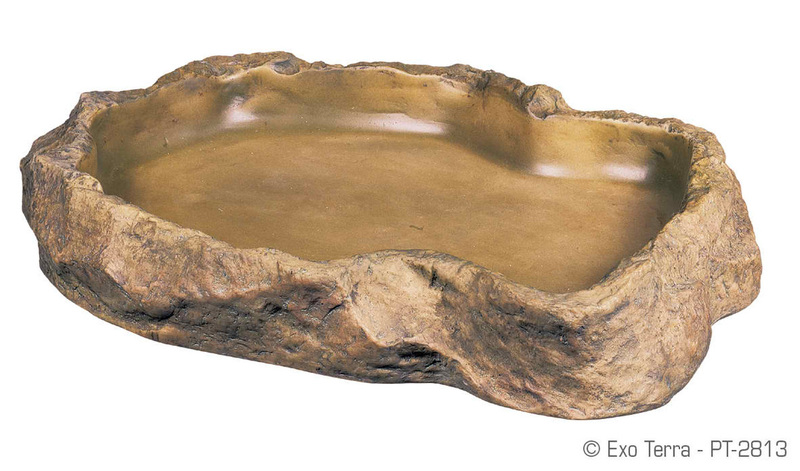 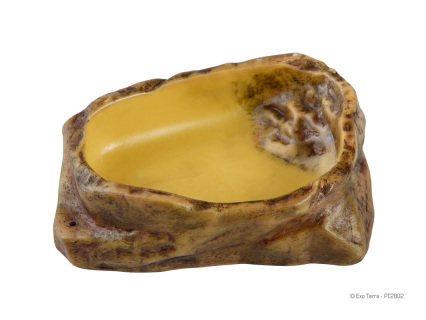 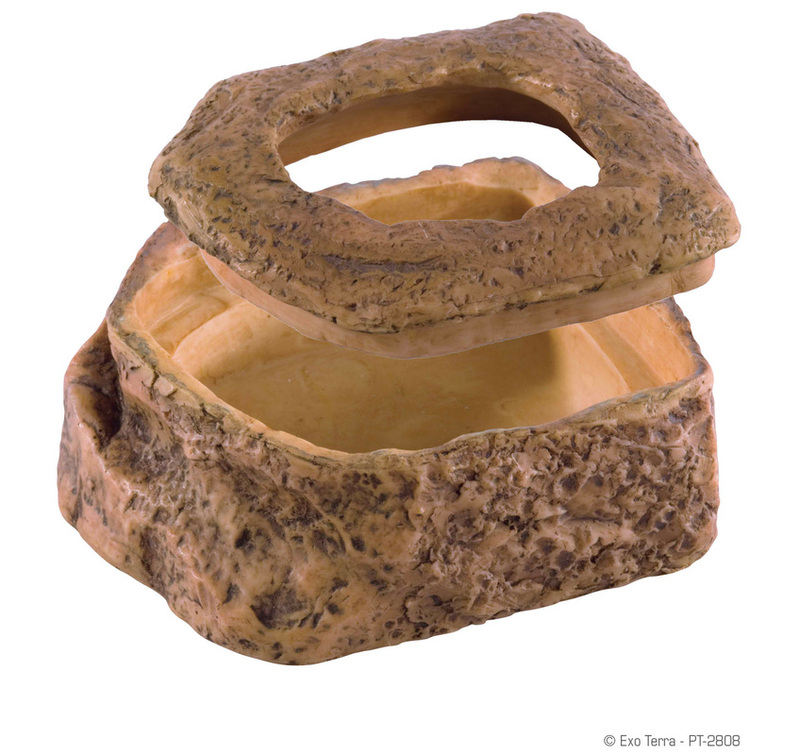 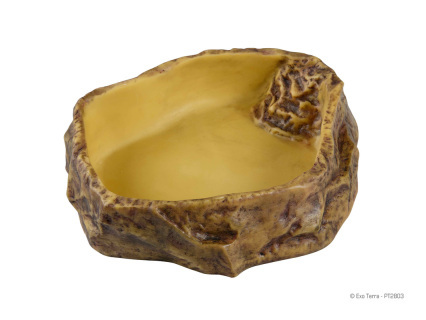 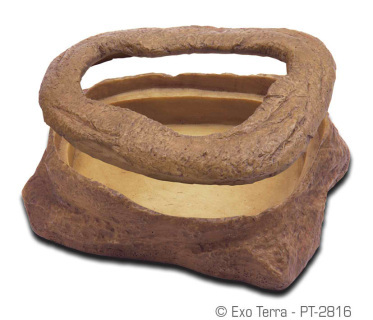 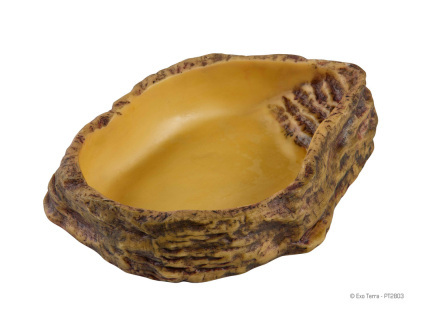 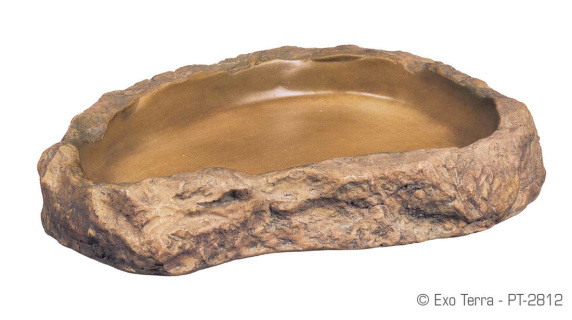 Exo Terra s Reptile Water Dishes are made from food-grade resin and have a very natural and realistic rock finish on the outside and a smooth non-pitted surface on the inside. The Exo Terra s Reptile Water Dishes are coated to prevent the development of harmful bacteria and are easy to clean. 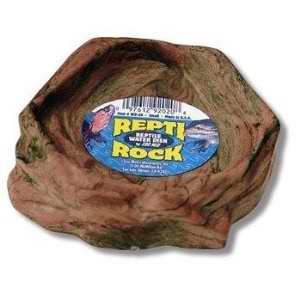 The low side walls put daily nourishment within easy reach of any size reptile. Terrarium care is made easier too, thanks to a glossy ceramic finish that sanitizes with soapy water. 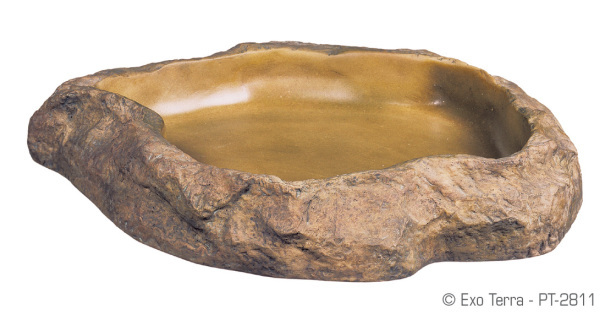 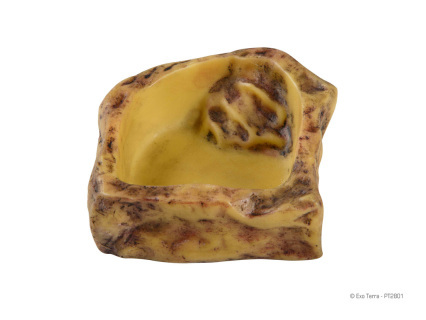 The fearthtone color and a gentle kidney shape blend into landscapes.